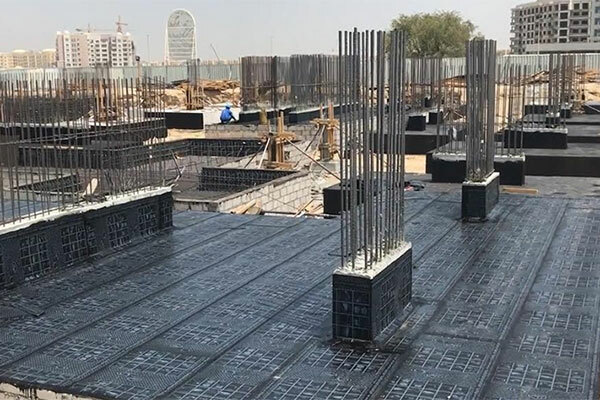 Samana Developers, a Dubai-based real estate developer, said its Dh75 million ($20.4 million) residential project Samana Greens is on fast track with the contractorhaving completed 10 per cent of the construction works in 100 days. Samana Greens – a freehold project – consists of 131 residential units comprising studio to two-bedroom apartments. Located close to the Miracle Gardens in Arjan area, Samana Greens will be easily accessible through two major expressways – Al Khail Road and Mohammed Bin Zayed Road – and gives its residents easy access to the major attractions to the city of Dubai. Arjan is a new and growing neighbourhood located opposite Dubailand - a mega entertainment complex. Samana Greens is being developed as per the green building standards for LEED certification utilising best practices – grey water treatment to convert it into irrigation water, use of solar energy/panels to lower electricity consumption, use of green appliances and sufficient spaces for greenery and walking. The green and sustainable development will complement Dubai’s vision for sustainable projects. The four-storey project comes with ample parking space for each apartment, landscaping and other associated facilities with a built-up area of 140,000 sq ft. The residential tower brings several retail outlets, luxurious sauna and gymnasium, comfortable shopping area, covered parking, secure play area for kids and plenty of green spaces for its residents. “As Dubai’s real estate market matures further with tighter regulations and transparency, property buyers are looking at real assets and the quality finishing as well as the timely delivery of the project – that reflects the developer’s integrity – we felt our obligation to construct the project before we ask buyers to put their money into the property,” said Imran Farooq, group CEO. “Therefore we are continuing with the project’s construction works so that the buyers could see the property and decide on purchasing as we believe – ‘Seeing is believing’. “As our maiden project, we are very much focussed on the timely delivery with promised quality so that the buyers could call it their home and be proud of the amenities. “Besides, we are offering 9.25 per cent guaranteed rental returns to our buyers who want to put the property on rent. This effectively means, the buyer could get back the investment in just 10 years – without relying on bank finance, and after getting the key with just Dh199,500 payment only. “A buyer can’t get anything better than this in the market as we are the only developer with such a generous post payment plan with a guaranteed 9.25 per cent rental returns,” Farooq added.